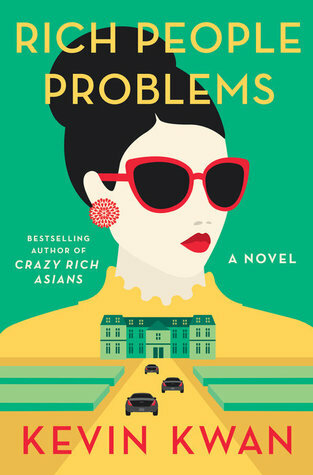 I’m not going to lie – I was pretty stoked when I first heard that Rich People Problems was going the third instalment of the Crazy Rich Asians “series.” I read the first two books and really enjoyed them, so I was curious to see if the Rich People Problems would be just as over the top. This book definitely did not disappoint when it came to the ludicrous spending and name-dropped that this fictional family is capable of, but at some points it almost seems to be a little too over-the-top. If there’s one thing I’ve learned from this whole series, it’s that money (an absurd amount of money) makes people unable to see clearly. Every action is driven by jealousy and the desire to one-up your competition. But back to the book – regardless of self-absorbed nature of most of the characters, it was still just as enjoyable to read as Crazy Rich Asians and China Rich Girlfriend. While at times it was hard to keep track of all the different characters, (which I personally think assists in showing how huge Asian families actually are) I still found myself completely absorbed in the story and rapidly reading through each chapter wanting to find out what kind of insanity was going to happen next. I also couldn’t help but notice how well Rich People Problems demonstrates how the death of a beloved family member – especially a matriarch – can both bring people together can tear them apart at the same time. Grief can do unbelievable things to a person and Kwan demonstrates this not only with the passing of Su Yi, but also in the collapse of marriage. If you’ve read the other two books in the series, or even just the first one, I highly encourage you to press on and complete the trifecta with Rich People Problems. I felt that it brought a lot of closure to the main character’s storylines, and it was still a great read. Overall, I’m giving it 4.5 stars out of 5.